Fundamentals of Clinical Supervision, 5/e offers a comprehensive, interdisciplinary presentation that makes it the most highly cited publication in the field. 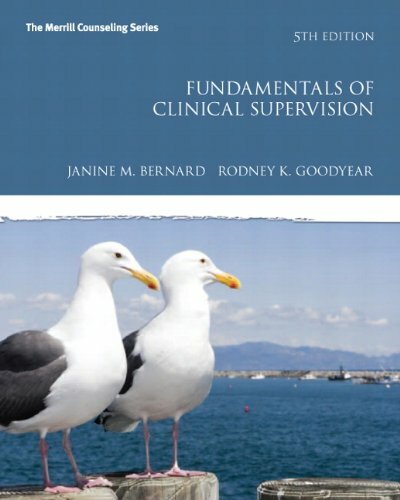 Addressing essential topics for supervisors, it has earned a reputation as an authoritative resource for anyone seeking certification as an Approved Clinical Supervisor. Emphasizing central themes from a variety of mental health professions, the book covers supervision models, supervision modalities, administrative issues and professional concerns. This Fifth Edition covers the latest research, more on second-generation models of supervision, a new section on triadic supervision, and the latest on technology. Its one-of-a-kind supervision toolkit, scholarly approach, and topic coverage set the book apart.